We were flattered to hear that Memphis is working on bringing a little bit of Bryant Park down South! This article in the Memphis Daily News discusses the effort underway to model a new Frayser Town Center after Bryant Park, though on a smaller scale to fit the area. Wondering what it's like to take a yoga class in the middle of Bryant Park along with hundreds of other people? Well, Business Insider has got your covered. 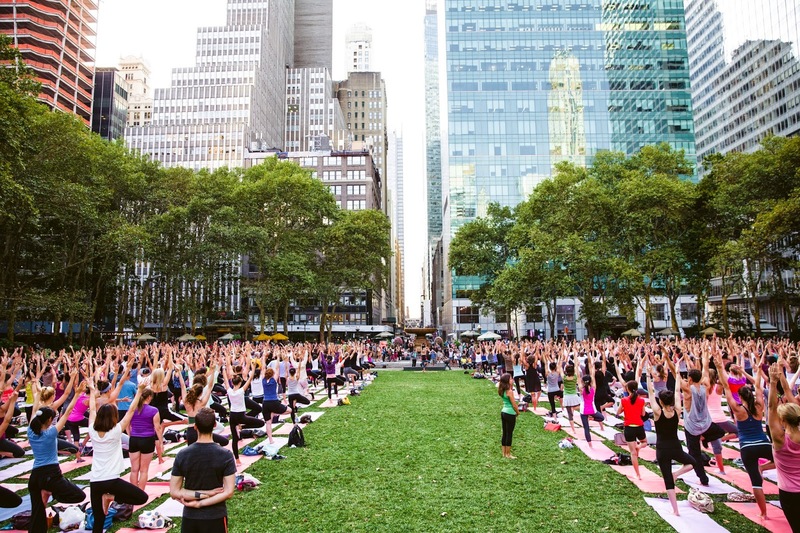 Their video, filmed on a Go-Pro, shows what it's really like to practice yoga on the park's lawn in the middle of Midtown. Our very own Bryant Park Grill made Refinery 29's list of the 8 NYC Bars With The Most Incredible Views of the City. We couldn't agree more! The Grill's rooftop bar offers amazing views of Bryant Park day or night (and is a great spot to sit back and enjoy some of our many free events from above). As the first days of fall approach, we are more aware than ever of the changing seasons. This video shows Bryant Park throughout all four seasons, as the fountain freezes over into a giant ice sculpture, as the lawn populates with sun bathers, and as the orange leaves begin to fall. Take a look and watch how the park changes over the year! 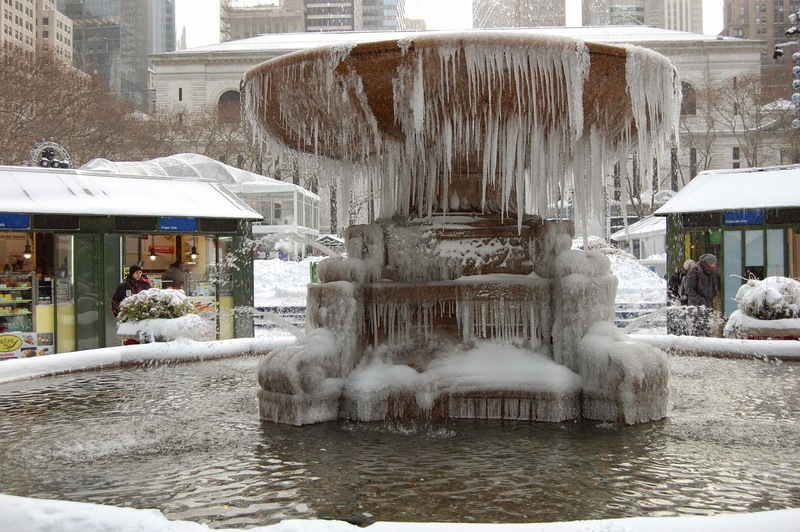 We are thrilled to hear that the redesign of the new Dilworth Park in the Center City District of Philadelphia was based on our own Bryant Park. Read about this influence and more in this article in the Philadelphia City Paper. Become a real Bryant Park insider with this amNewYork article uncovering the park's greatest secrets. From miles of books hiding below the lawn to the coins in the fountain, the park is full of these fun facts that will surprise you! 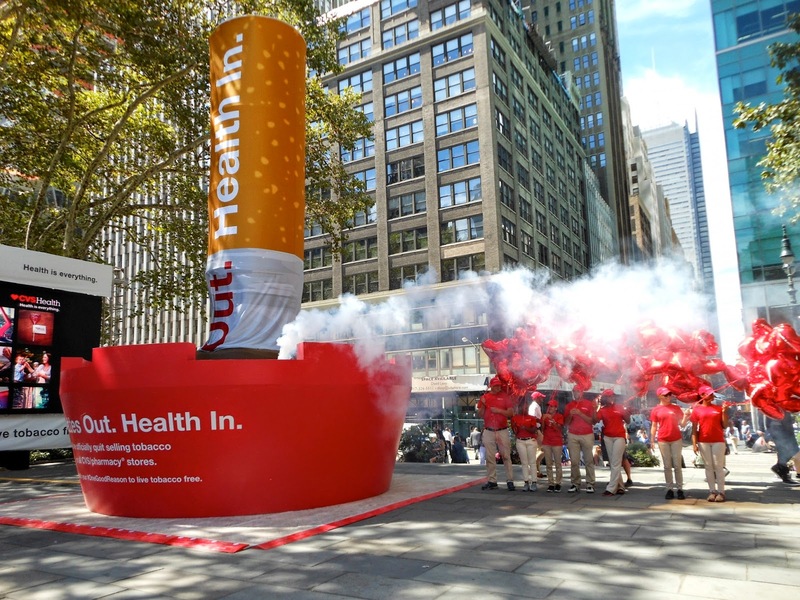 Bryant Park is recognized as a place where you can smell flowers, not smoke, which is why CVS chose the park as the place to make the big announcement that they are no longer selling cigarettes in any of their stores.